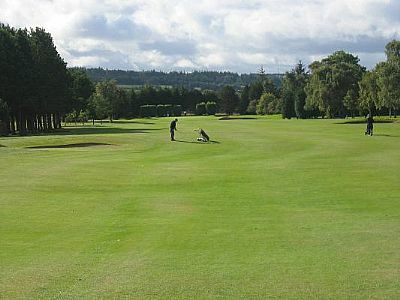 Located in the heart of the Highland capital, Inverness Golf Club has a splendid parkland course with tree lined fairways and generous well manicured greens. 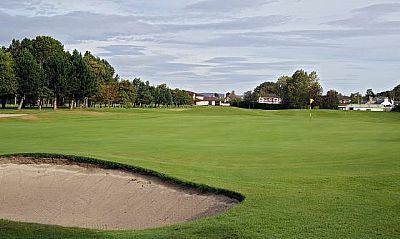 Established in 1883 and designed by George Smith and J J Fraser, with alterations made by the renowned course designer and 5 times open champion James Braid, the course provides an enjoyable and challenging test for any golfer. This well presented course has a relatively simple opening hole at just over 300 yards, followed by a par three that is tightly guarded with bunkers. The tee shot at the next hole, the first of two par fives on the outward half, is best with a touch of draw, and then follows the toughest of par fours (458 yards) with the entrance to the green very narrow. At only 305 yards, the 6th hole requires caution from the tee as a long drive may reach the Mill Burn which guards the green. Two more par threes have to be played before the outward half is completed, but at 184 yards and 196 yards they are not easy, particularly the 7th. The out-of-bounds fence is just a f ew yards left of the raised putting surface. The 11th hole dog-legs slightly to the right while the 12th tee shot is played from an elevated position down into a valley. The 14th “Midmills” is a hole of exceptional quality. Dog-legging to the right, cut off too much from the tee and the green is shut out from view by tall trees. The burn plays its part in the second shot, flowing along the length of the fairway on the right as it narrows towards the green. At 475 yards, the long par four 18th brings you home (five for ladies) and is a demanding finish, especially into a north east breeze. Glen Ord Distillery : About a half hour drive, Glen Ord offers interesting tours where the whisky making process can be followed. The shop sells the famous Singleton malt whisky - the only place in Britain where it can be bought. Culloden Battlefield : The scene of the last battle on British soil and where Bonnie Prince Charlie was defeated. Cawdor Castle : A 14th Century fortess built by the Thane of Cawdor and forever linked with Macbeth. Kingsmills Hotel : A luxury hotel overlooking the course. Craigmonie Hotel : A few minutes from the course and dating back to 1880. Inverness Apartments : Self service apartments in the centre of the city and overlooking the river and castle. Alba B&B : Situated opposite the club.